Take six nesting and sorting blocks, add six numbered vehicles to roll inside, and what do you have? A community full of stacking, counting, hide-and-seek, mix-and-match, imaginative play! 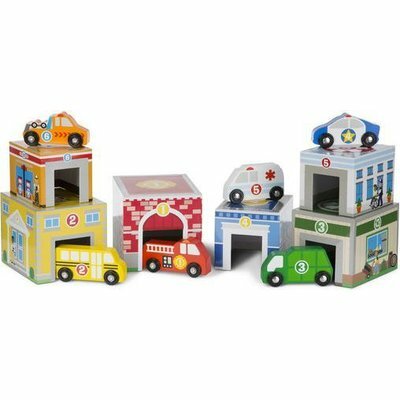 This action-packed play set lets kids build towers or a town scene filled with buildings like a hospital, fire station, or school, with a wooden vehicle for every building. 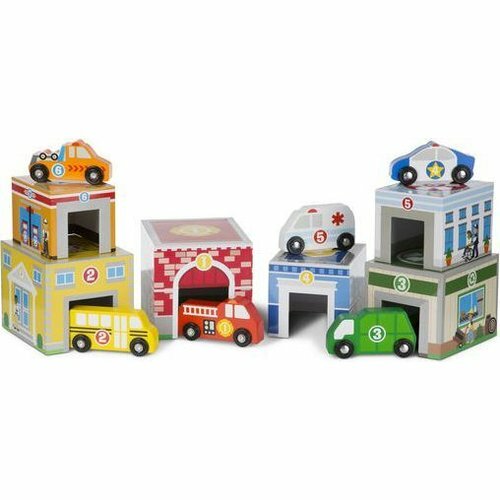 On their front panels, the blocks feature doors so the vehicles have a place to park. 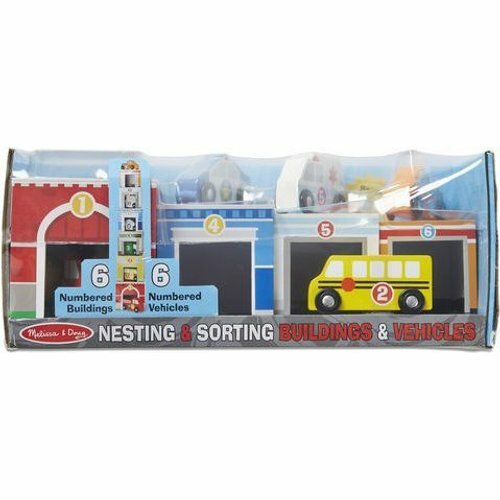 Kids can also pair numbers on the buildings and vehicles or match by colour to put together the correct pairs, reinforcing early-learning concepts as they play.